If you’ve ever participated in a CSA, I’m sure you’ve used the word “struggle” to identify the program at least once or twice. This is my second time participating in a CSA. My first one was the Yellow Hook CSA in Bay Ridge. A 5 minute walk from my apartment, the location was perfect! I was so excited by the bounty of fruits and veggies I was promised. Little did I realize that “veggies” really equated leafy greens. Now don’t get me wrong, I love a good bunch of kale or bok choy, but getting 3-4 varieties of greens every week was too much for a family of two to handle. Pickups were on Thursdays and we often went away on weekends (or at least cooked less), so we’d struggle on Thursday and Friday night to consume as may green as possible only to end up having the rest wilt and end up in the trash or compost pile. I took the 2011 season off, but when a coworker suggested the Tribeca CSA, down the street from my office, I felt I was ready to take on the challenge again. Before I signed up for the Tribeca CSA, I read through their website and past shipments CAREFULLY. Any instances of “greens” flagged my attention, but luckily there were very few. I saw cucumbers, tomatoes, herbs, CORN. The bounty looked varied and not too much for our small household. To make sure we weren’t getting too much each week, my friend and I got a full share and split it (meaning we both picked up every week and split the produce between the two of us). I skipped fruit; not sure I was ready for that yet. Each week, we’ve received a wide selection of items, perhaps too wide a selection though. We’ll often get 8-10 different items, but a minimal quantity of each. Seriously, what I am I supposed to do with only 2 peppers? Often I would stop by the City Hall Greenmarket on my way home (conveniently also open the same day as our pickup) to supplement what I needed. And then there’s the days you just get too much. Half a pound of jalapenos were in our share today. Remember, jalapenos are light, so half a pound is well over a dozen! I’m not a super spicy person. When I can salsa, I might use 1-2 peppers–across 4-5 pints. So yeah, not too much spice. 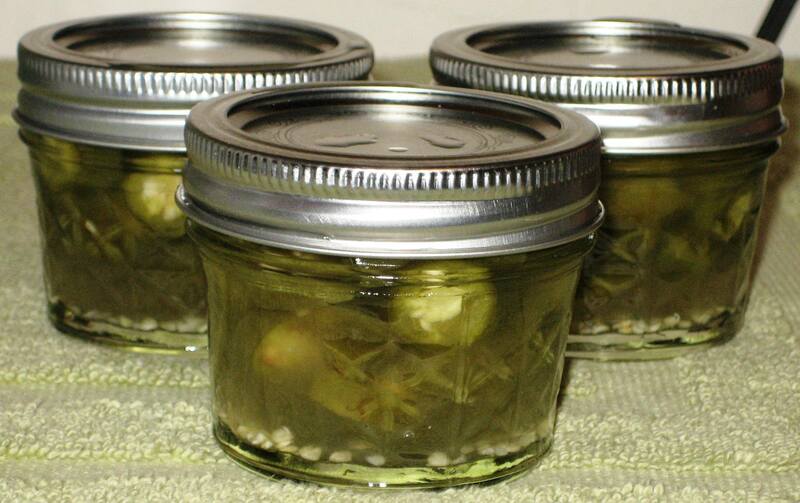 Luckily I found this BRILLIANT recipe for Unfancy Pickled Jalapenos on Food in Jars website (awesome canning site–now bookmarked). They’re sliced in half and pickled in a basic brine, so you can still taste the nature flavor of the jalapeno. Marisa explains how she then uses the peppers throughout the year when she has a recipe calling for jalapenos, like chili. Considering how little I use the things, I modified the recipe and sliced the peppers rather than halving them, and canned them in 4oz jars. That way, I could use the small amount needed and not have to worry about opening a big jar and letting the rest spoil. Slice jalapenos into 1/4 inch circles. In a medium saucepan bring vinegar, water and salt to a boil. Remove from heat. Pack clean, hot jars with peppers. Pour hot brine over top. Bubble your jars thoroughly by tapping them firmly on the counter top and using a wooden chopstick to release any stubborn bubbles. Wipe rims, apply lids and bands. Process in a boiling water canner for 10 minutes. Store in cool, dark place for up to a year. 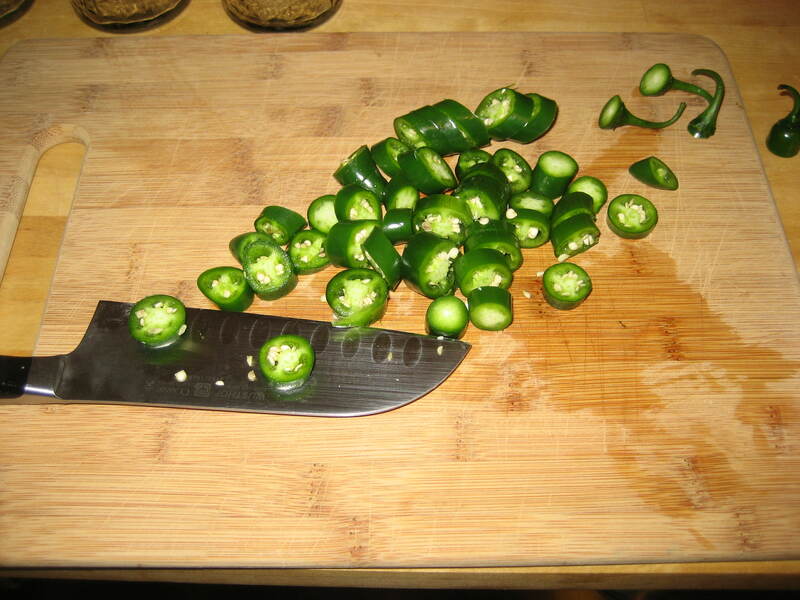 1/4 inch slices of jalapenos–ready for pickling! 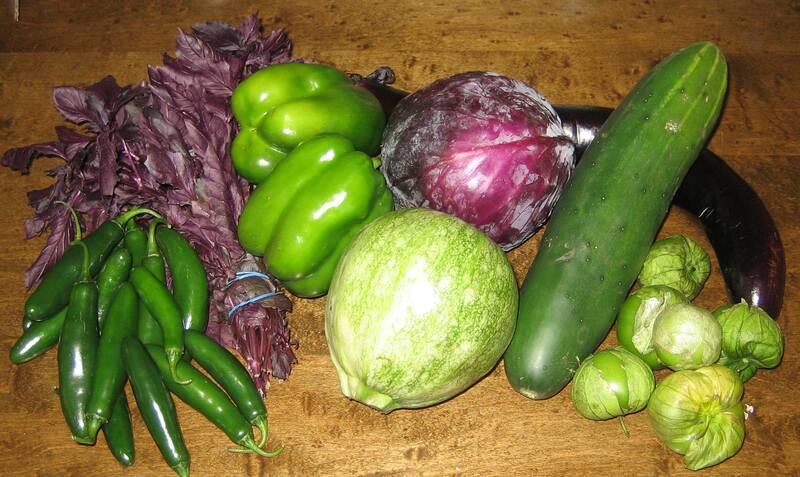 Next postNY Locavore Challenge – Have You Signed Up Yet?